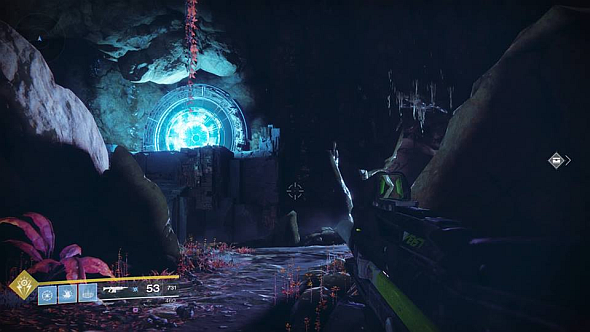 You’re a PC gamer, but you’ve still probably heard of Destiny’s infamous ‘loot cave’, a bizarre case study of human psychology of the kind that videogames produce. It became a pretty big story, so naturally our intereste was piqued when we found a thread on Reddit claiming to have discovered version 2.0 in Destiny 2.0. What we found isn’t really comparable to the original loot cave, but it still produced an interesting cheese if you fancy a bit of power-leveling. See where this fits in to the grind withn our Destiny 2 leveling guide. Here’s the thread, by bbeane78, who claims to have found a way to force a chest on Nessus to respawn. Chests are guaranteed to drop planetary tokens, which you can turn in to the overseers on each planet in exchange for reputation. At each rep rank, you’re guaranteed a Legendary drop – this is a crucial step in the mid-game gear grind, by which console players are firmly gripped in preparation for the Raid on Wednesday. Bbeane78 recommends a run through an adjoining cave, killing all the enemies as you go, and jumping through a teleporter to return and open the chest again. We tried this, but couldn’t be bothered killing all the enemies, and found that the chest doesn’t spawn consistently. We’re guessing that killing the enemies must take three minutes or more, because that’s the timer that all chests in the world are set to. This run will work just fine if you just… stay in the room and wait. Seriously; we tried. There are enemies in the cave, but unlike the chest, they won’t respawn if you just sit there, so you only have to clear them out once. The only complication is that the chest spawns in different places within the cave, some of which aren’t obvious. You can solve this by buying a Nessus scouting report from Cayde-6, which will mark chests in your HUD (aim down sights to widen its detection radius). 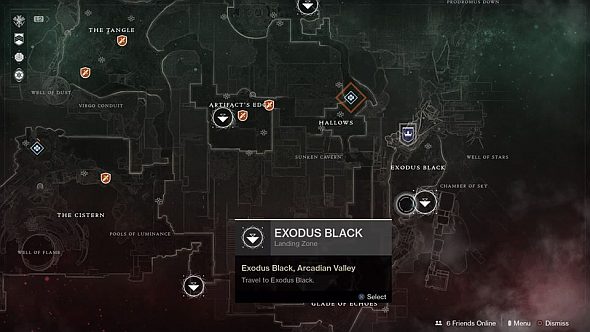 To get there, choose the landing zone near Exodus Black and go forward and right. You’ll find a narrow canyon that will lead into a cave with a blue teleporter portal, a Minotaur, and a few goblins. This is the place. Clear the enemies out, find the chest, and set a stopwatch running. Aim with your weapon every three minutes, and a new chest icon should appear in your HUD. Go get it, and repeat. Assuming every chest is on the same three-minute timer, you can theoretically do this on any planet, if you can find a place where the spawns are similarly predictable. The great advantage of this room in Nessus is that the chest will always be near enough for you to grab easily, and enemies aren’t a nuisance – this won’t always be true. Is this the most efficient way to level? Possibly not; with the help of a scouting report, you might well be able to get more than one chest for every three minutes through active play. That’s good, though – because incentives are still strong for you to play the game as Bungie intended, there’s a chance they might not patch out this particular trick before the PC release. We hope it stays; if you fancy a relaxed evening with YouTube or Netflix, it’s an easy way to guarantee some reasonable progress in Destiny at the same time.